Every now and then we crave for good crepes. Most of the time daddy will whip up a batch. We decided it's time for another trip back to Creperie de Caroline, a French lady running a small Creperie at Bangsar (near Pappa Rich). Our first visit months ago was memorable in terms of taste, presentation and experience. So it's now round 2. Caroline was there on both occasions -- pleasant and always welcoming. My daughter always gets a free round of bon bons (candies) from the pretty owner. 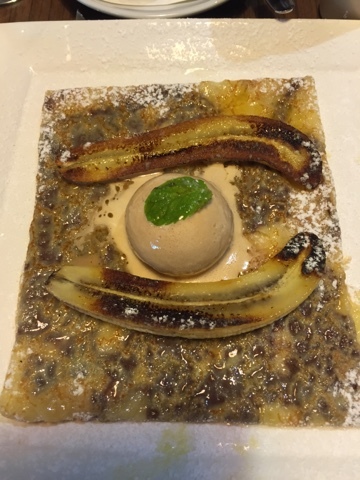 Their crepes are exceptional and reminds me of my past trip to Mont Saint Michel -- a must visit for people who want more than the usual Paris Eiffel Tower for their vacation in France. It is a monastery in the middle of a wide space, which fills up with water in certain times of the year. Creperies surround the town and the monastery. It's located in Brittany -- the home of crepe, and also pure butter biscuits. 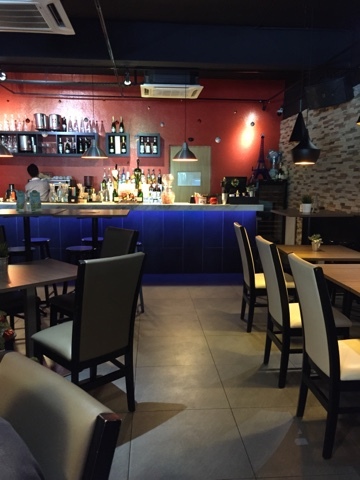 Back to KL -- we are lucky to find a nice Creperie (a place that serves crepes) in the heart of Bangsar, just five to ten minutes drive from Mont Kiara! Price is okay -- definitely not cheap but you get what you pay for. 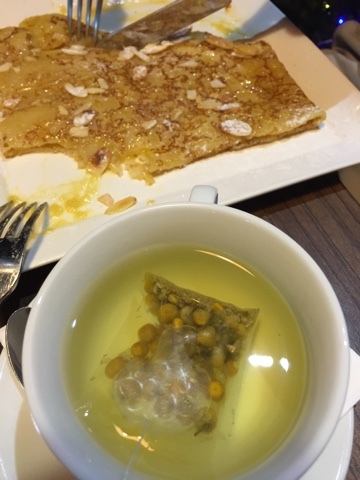 Quality crepes. All the crepes and waffles will leave you wanting more because of the variety. Tons of flavors to choose from. I settled for the more traditional type: crepe with Nutella and bananas. No regrets! 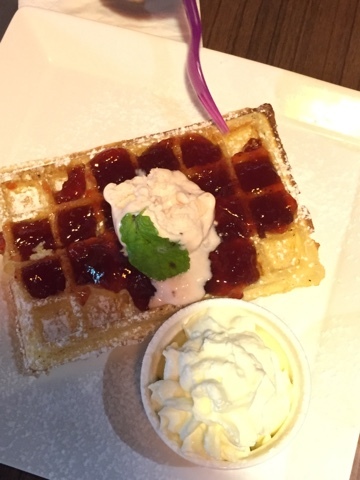 Waffles with extremely generous amount of whipped cream and strawberry ice cream and strawberry jam. Sorry bad lighting! My superb Nutella crepe with bananas. 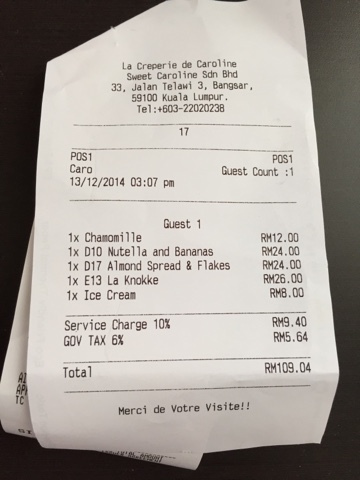 3 adults dining in -- 3 desserts plus one tea is about rm109. For a taste of France -- definitely worth the short visit to Bangsar!! !